The first trip of 2009 is now complete. 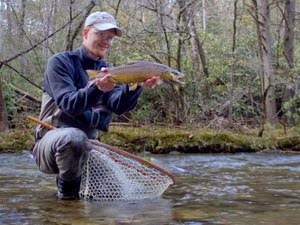 Originally I had planned to try and make it to the South Holston River yet again but today it didn't work out. 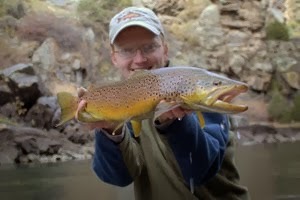 Fate conspired against me and in the end I headed over to the local state park to try for the recently stocked trout. Overcast skies promised a decent opportunity to catch some fish. When I arrived at the lake, I took my time rigging up. My old leader was badly in need of a replacement so I got out a new one to start 2009. 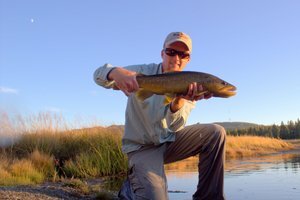 One of my favorite flies for catching stocked trout in stillwaters is the Simi Seal Leech. I tied on a beadhead version in black and red and wandered down towards the water. Normally there is a good bit of surface activity on this particular lake but today it was dead. Below the lake is a creek that provides a change of pace and I decided to start there. After 15 minutes of beating the water I begin to suspect that maybe none of the fish had come over the dam. Just when I really was ready to try another spot I got a hard bump. Refocusing, I enjoyed the swish of the line through the guides while shooting line to put my fly on the other side of the creek. After several casts and a few more bumps I began to get tired of continually missing fish. A deep spot downstream caught my eye and I moved towards a logjam that had a bunch of foam piled in front. My first cast produced an explosive strike which made me wonder if there were larger than normal fish in here. 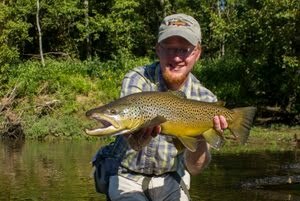 After several more casts I finally hooked up with a trout that had an attitude. Guiding it in close to the bank, I soon released the first fish of 2009! hey want to say thanks for the great pictures and columns! glad i was able to find your blog. 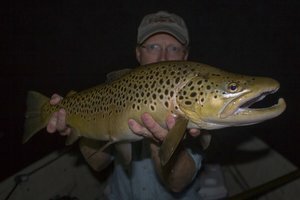 kept me intertained, and also thinking about fat eastern tail water browns! cant wait to get out there. also i most definetly am using those feathers plus some elk hair from my dads hunt this year. i got a lifes suply of hair! great for caddis and stimulaters. keep doing a good job! i realy enjoy having some thing to read weekly.